By now, nearly every news outlet is reporting that newly-inaugurated President Trump has signed three (3) Executive Orders/ Actions this week. 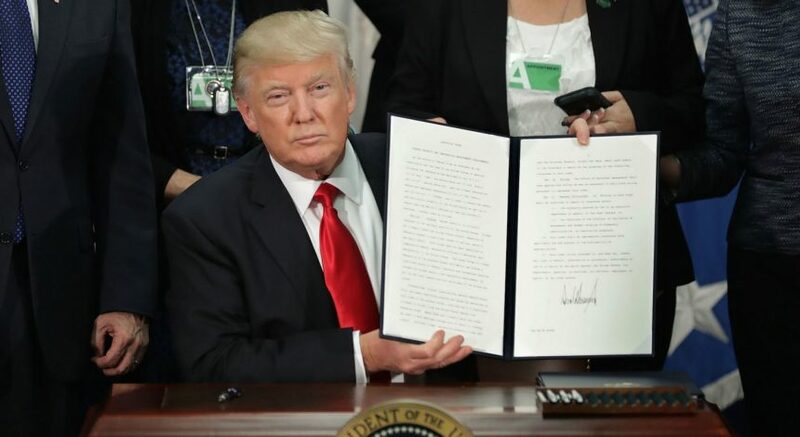 While the headline-grabbing and infamous border wall is an easy lead-off for the 5:00 news, the Executive Orders/ Actions had widespread impact on removal actions and priorities, especially along the Southern border of the United States, and admission of Muslims from around the world. Creation of a program to provide support to victims (and their families) of crimes committed by those unlawfully in the United States. Enhanced action to remove those who are deemed inadmissible under INA section 212(a)(2) [criminal grounds]; 212(a)(3) [security grounds]; 212(a)(6)(c) [fraud or misrepresentation]; 235 [those eligible for expedited removal]; 237(a)(2) [those convicted of crimes of moral turpitude, or an aggravated felony]; and 237(a)(4) [security grounds]. Removal of those convicted of any criminal offense in the United States; charged with a criminal offense; or those who have completed acts that are criminal, even if not charged or convicted. Removal of anyone who has committed fraud or material misrepresentation to obtain any public benefit. Removal of anyone who otherwise poses a risk to public safety or national security. A mandate to levy and collect fines from anyone in the United States without authorization. Termination of the Priority Enforcement Program. Levy of sanctions against any countries who refuse to repatriate and accept its citizens who have been ordered removed. Construction of the border wall along the entirety of the US-Mexico border. Detention of anyone apprehended along the US-Mexico border. Prompt removal of those ordered removed from the United States by any immigration official. Increase in the construction of detention facilities along the US-Mexico border. Assignment of asylum officers to the US-Mexico border to promptly evaluate and adjudicate “credible fear” interviews of those seeking political asylum. Increase in available US Border Patrol officers. Decrease in or elimination of parole of asylees at the ports, mandating that they remain in custody pending asylum hearings. Increase in criminal prosecution of anyone who has committed any offense that has a nexus to the US-Mexico border. The third Executive Order/ Action was signed by President Trump on January 27, 2017, and targets those from predominantly Muslim counties. However, some of the provisions have effects that span far wider than these targeted countries. 90-day ban on any entry (including immigrant and nonimmigrant) by those individuals who are from 7 designated countries: Iraq, Iran, Syria, Somalia, Libya, Sudan and Yemen. Clarifications from DHS on January 28th confirm that anyone from these counties who holds a nonimmigrant visa will be allowed to withdraw request for admission to the US, and denied US entry; those who refuse will be placed into expedited removal proceedings. Those who hold a ‘greencard’ and are from one of these countries may also be refused US admission. * Finally, anyone who is a dual citizen of one of these countries may be refused admission despite holding a passport from a non-designated country. 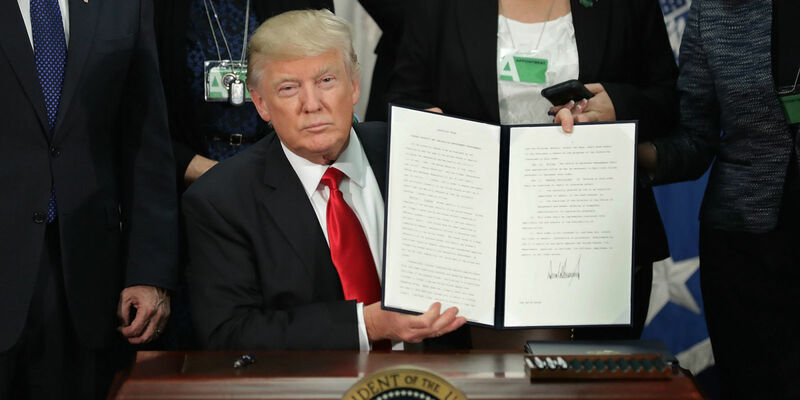 Places a 120-day ban on the admission of any refugees into the United States, and an ongoing reduction of admitted refugees by more than 50%. Bans the admission of Syrian refugees indefinitely, and until DHS feels comfortable with the vetting process. Suspends the program that waives in-person interviews for some individuals who are renewing valid visas. Note that this applies to all worldwide consulates and embassies. Expedites the completion of the biometric entry-exit program at all US land, sea and airports. * This is a quickly-evolving topic, and one that will shift with emergency court filings and stays. Be sure to check our blog or call our office for the most recent positions. What does this mean for you, your family and your employees? Those caught attempting to unlawfully cross the southern border are likely to find themselves in detention, charged with an expanded definition of a crime, and placed into formal exclusion and expedited removal hearings; this signals the end of the “catch and release” approach, and the pattern of granting voluntary return (VR) to those whose only act was the attempted entry. Further, those who present themselves at the US-Mexico border for asylum processing will be more expeditiously interviewed and their cases reviewed; and if they are referred for an asylum hearing following a credible fear interview, many will remain in detention until there is a final outcome of their cases. If you, or anyone you know, is taken into custody, it is imperative that you know your potential right to a fair hearing before an Immigration Judge. Our office is highly skilled in removal defense, and has decades of experience within immigration courts; be sure to contact us immediately if you or anyone you know has been detained under the new Executive Orders/ Actions. Further, it becomes even more important that you maintain any current valid non-immigrant status, and that you fully abide by any and all terms of any admission. Do not allow your current non-immigrant status to lapse, and do everything in your power to fulfill the terms of your issued visa and I-94. Our office is very skilled in a wide variety of non-immigrant issues, and we can assist you with maintaining your status. Finally, if you do not have to travel outside of the country, it is recommended that you stay put. As we have seen with the final executive order, the actions become effective immediately, blocking US entry for many who were in the air when the order was signed. As there is no way to predict President Trump’s future actions, international travel should be placed onto the back burner for a minimum of 90-120 days while the dust settles and the pathways become more clear. Please do not hesitate to contact our office at any time. We welcome your calls and emails with any additional questions you may have. Looking Forward: What Will We See In Immigration Under President-Elect Trump? Great post, Tifany. We are in very troubling times, the likes of which we have not experienced since the internment of Japanese citizens in WW II. My husband wants to apply for a pardon. He was deported 14 years ago and was sentenced 10. He has been in México the whole time. What are his chances? Criminal mistamener drug charge. Hi Liz. Thanks for your note. Please call our office at 858-451-6269 to set up a consult with Nora, the senior attorney in the office. She can discuss possible waivers with you. We look forward to meeting with you. – Tifany Markee, Esq. The Hague Convention on Adoptions: Has It Helped or Hurt Children & Families? Closed for Business — How Does The Government Shutdown Affect You? Scott on Looking Forward: What Will We See In Immigration Under President-Elect Trump? Nancy on Looking Forward: What Will We See In Immigration Under President-Elect Trump?